Last days for pre-holiday shipping! Please place your orders by no later than 10 am EST on Saturday December 19th to ship before the holidays! After shipping a final round of orders, Sweet Sheep will be taking a little vacation from 12/19 – 12/28. I unfortunately couldn’t make it in person to the Rhinebeck trunk show this year due to a death in the family, but I am ever so grateful to Cheryl and Jenn of June Pryce Fiber Arts who hosted my booth, to Lisa for letting that arrangement happen, and to everyone else who helped make the event work! When I got my box back, I realized that the coupons I sent up for the goodie bags had slipped through the cracks, so I’m now offering the sale up to everyone: enter the code INDIELUV20 at checkout in my Etsy shop and receive 20% off your order! Offer is good through November 15th. Autumn scented lotion bars (Pumpkin Spice!) are still going strong in the shop, with winter-like fragrances starting to make an appearance (Peppermint Cocoa…mmmm). 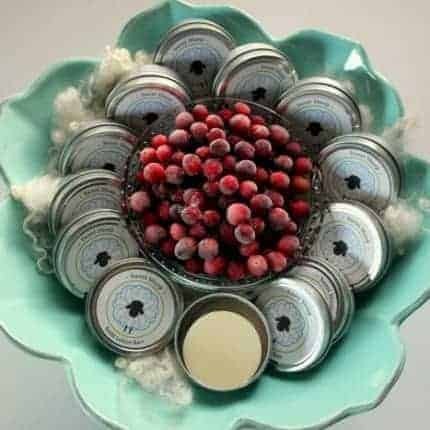 Keep in mind that colder weather brings dry skin, and prepare early with our super-moisturizing lotion bars and lip balms. 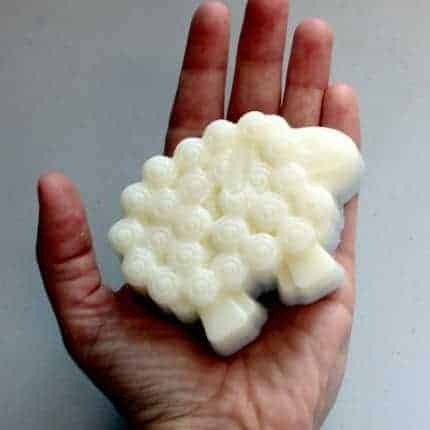 They’re made with the following skin-loving ingredients: beeswax, cocoa butter, mango butter, coconut oil, almond oil, vitamin E oil, meadowfoam seed oil, and our key ingredient, lanolin. 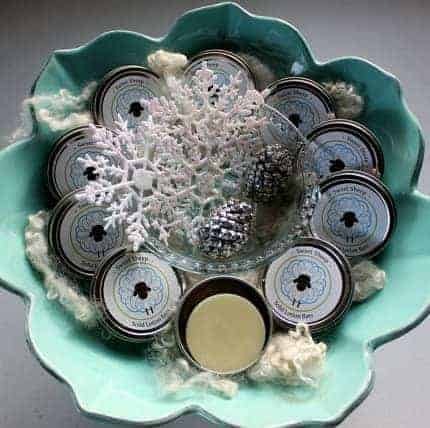 Beeswax and cocoa butter create a barrier between your skin and the elements, while mango butter and the various oils provide moisture and antioxidant properties. Lanolin’s molecular structure is very similar to the lipids in your own skin cells, and is absorbed easily for long-lasting skin protection. Plus, it comes from sheep’s wool, which is a bonus for every knitter I know! 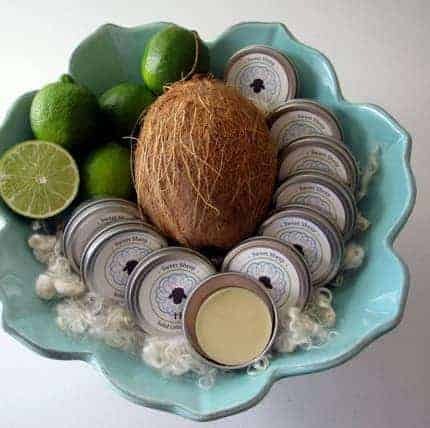 Coconut Lime – sweet, bright, citrus, warm, zesty, tropical. Down by the Bay – leafy, bright, tangy, herbal, earthy, masculine, salty. Peaches & Cream – sweet, tangy, creamy, southern summer, delicious. 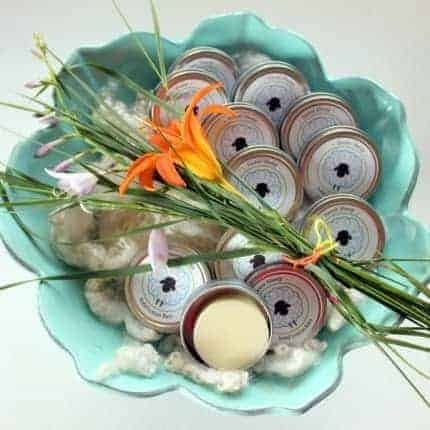 Smoky Patchouli – earthy, warm, smoky, musky, ohm. Summer Fields – lightly floral, summertime, sunshine, fresh cut grass. 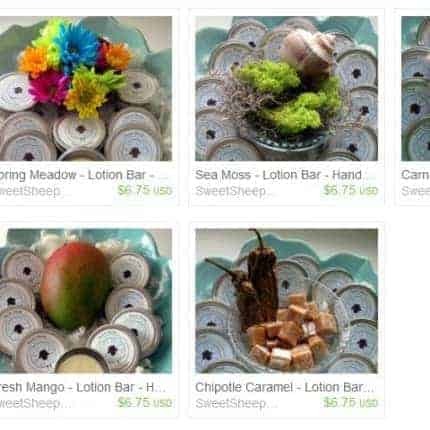 Both Summer Fields and Peaches & Cream are also available in handmade soap! 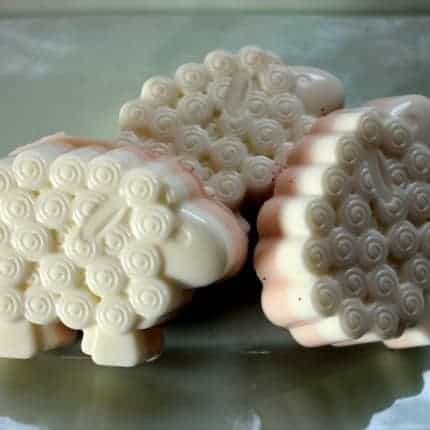 The Peaches & Cream soap consists of a peach-tinted goat milk soap base in an adorable sheep-shaped mold, while the Summer Fields soap features slivers of Lavender & Vanilla soap embedded in a soothing green aloe vera gel base. I’ve been using the Summer Fields soap myself and am cheered up every morning by its refreshing, summery scent. Stay cool and stay sweet! 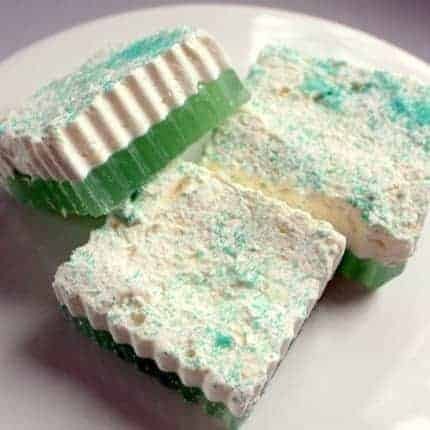 I’m working on developing new skin-loving products for Sweet Sheep Body Shoppe and have just dipped an experimental toe into soap-making. 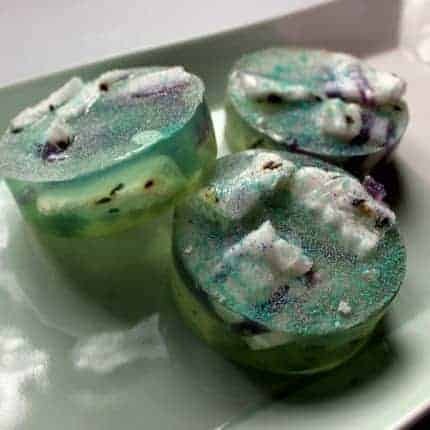 This first batch is composed of a green-tinted aloe vera gel base and topped with a soft, creamy layer of whipped goat milk soap, all finished off with a sprinkling of fine jojoba beads. 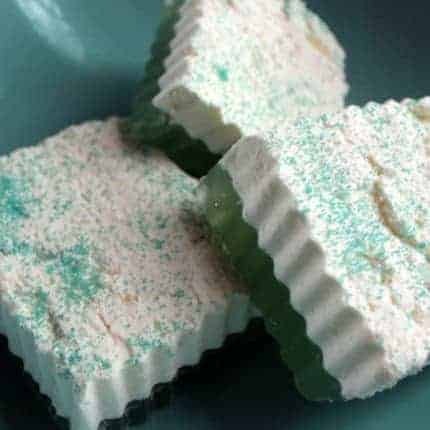 The bright, herbal, Green Tea fragrance of the base mixes beautifully with the softly sweet, citrus scent of Lemongrass essential oil in the topping. The color and scents are perfect for spring! In celebration of the impending springtime in this half of the world, I’ve added a new Sweet Sheep lip balm flavor the lineup: French Macaron. 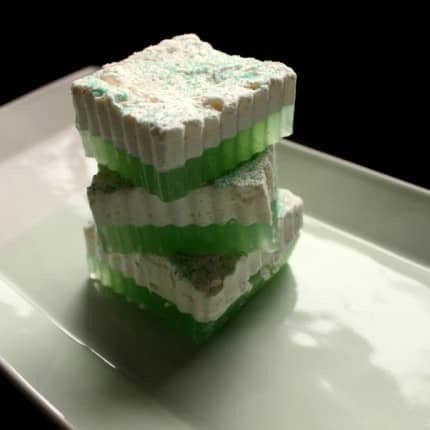 If there’s a dessert more spring-like than these pastel-colored, delicate little morsels of delight, I haven’t met it. 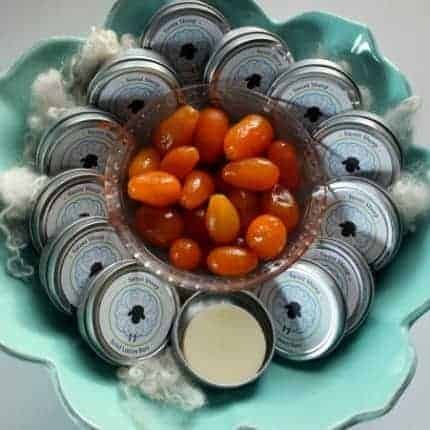 The lip balm flavor is sweet yet sophisticated, and just a little bit indulgent. I love it, and hope you will, too. 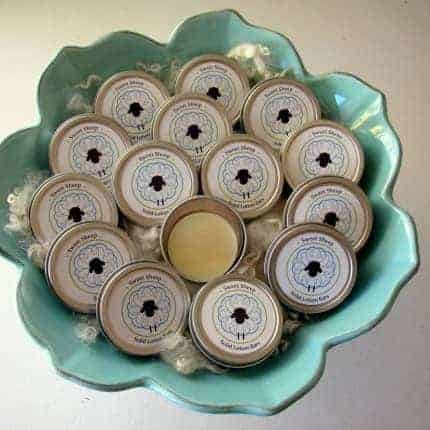 I’ve also re-stocked the bulk of my other lip balm flavors, including Winter Clementine, Lavender EO, Toasted Coconut, Vanilla Mint, Chocolate Cupcake, and Lemon Lime. 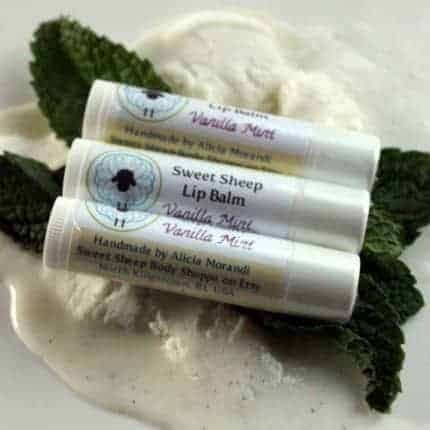 Sweet Sheep lip balms are handmade with the following natural, skin-loving ingredients: beeswax, mango butter, avocado oil, vitamin E, and the ever-important lanolin, derived from sheep’s wool. Spring-scented lotion bars will begin to make an appearance in the shop over the next few weeks. 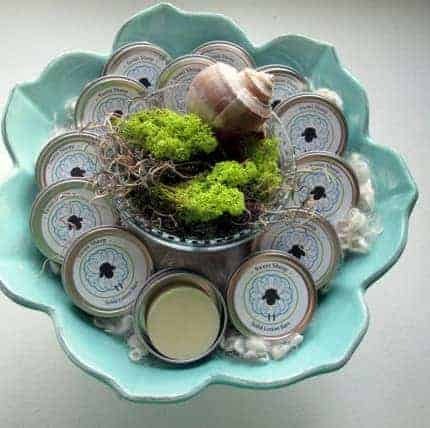 The first to re-appear were Spring Meadow (grass, sunlight, flowers in bloom) and Sea Moss (clean, fresh, slightly floral). Yay, spring! 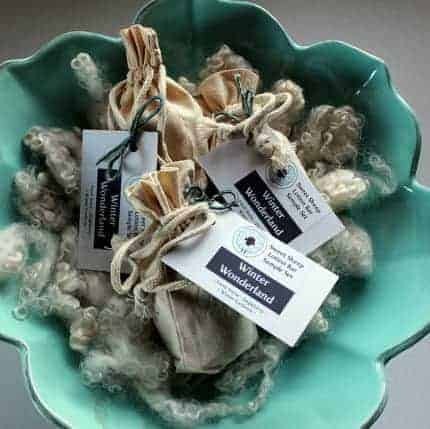 Finally, I’ve begun an occasional feature on my blog, Woolen Diversions, that highlights a particular fragrance and details why it’s awesome. 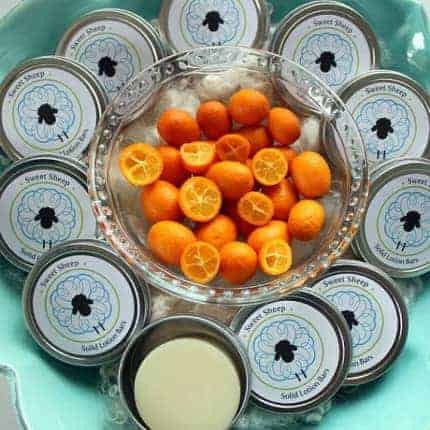 Last week’s fragrance was the tart and bright citrus scent: Kumquat, check it out here! 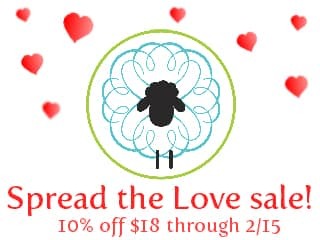 To celebrate the upcoming holiday of love, we’re offering 10% off a purchase of $18 or more at Sweet Sheep Body Shoppe through Sunday, February 15th. 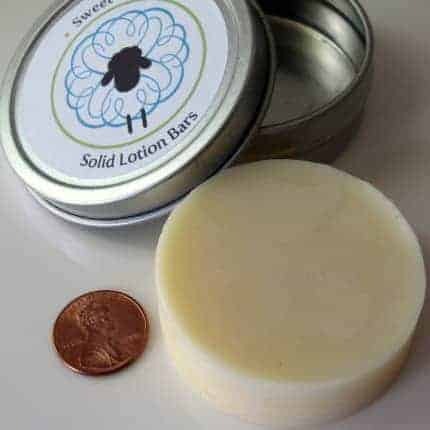 That’s enough for one of our convenient gift packs containing three sample-sized solid lotion bars (made with natural and indulgent skin-loving ingredients, like lanolin!) packaged in a sweet cotton-muslin bag. Gift packs come in themed collections (like Fruit Fusion, Exotica, Fresh Florals, and Season’s Treats) or you can build-your-own with a custom set containing three scents of your choosing. 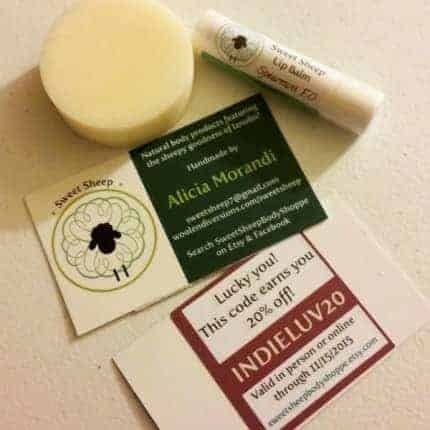 Or, you could use your coupon code on a purchase of two full-sized lotion bars, one to treat yourself and the other to share with a special friend! Use the coupon code ‘love10’ at checkout to receive your discount, and be sure to spread the love! • Champagne Fizz: bright, juicy, sweet, bubbly, effervescent. • Fresh Snow: bright, clean, vetiver, ozone, mountaintop breeze. • Gingersnap: warm, sweet, spice, cinnamon, ginger, vanilla. • Jingleberry: sweetness, holiday, spruce tree, merriment. • Peppermint Cocoa: rich, chocolate, cream, peppermint, decadent. 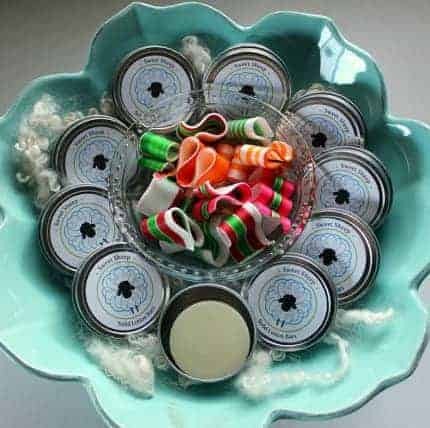 • Ribbon Candy: spun sugar, fruity, joyous, seasonal. 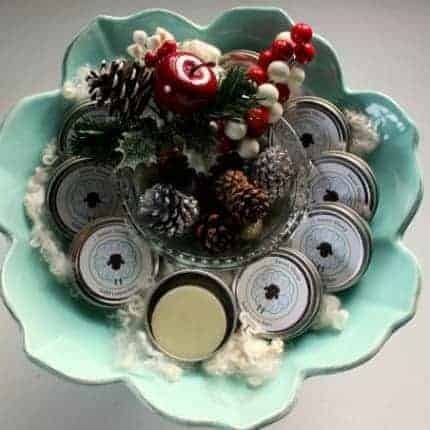 • Winter Gardenia: floral, gardenia, lilac, jasmine, peppermint, fresh. 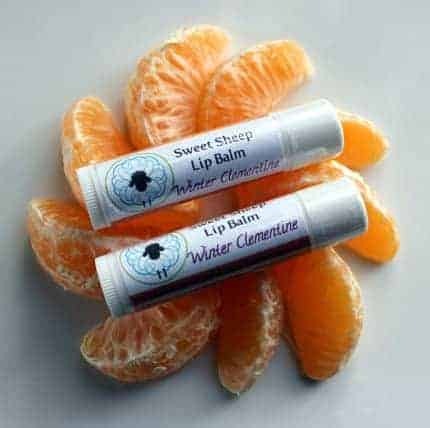 • Winter Clementine lip balm: sweet, juicy, citrus, subtle, sublime. 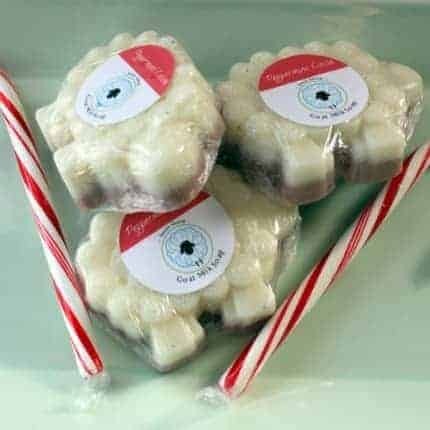 We also have two winter-themed gift sets available for those doing some last-minute shopping: Season’s Treats (Gingersnap, Peppermint Cocoa, and Ribbon Candy) and Winter Wonderland (Fresh Snow, Jingleberry, and Winter Gardenia). 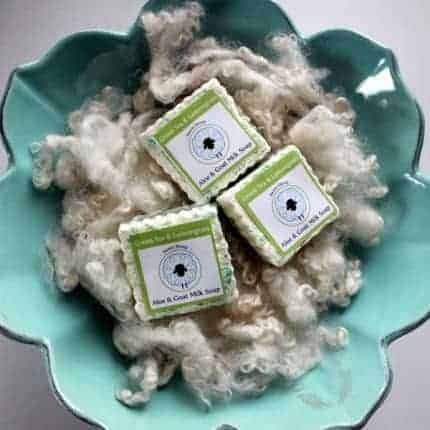 Each gift set contains three sample-sized lotion bars packaged in a sweet little cotton-muslin bag, perfect for gifting or for a special treat for yourself! Please keep shipping times in mind if ordering for the holidays! The last day to order for shipping before Christmas is Friday, Dec. 19th. I will be out of town between Dec. 20 and Dec. 28th and will resume shipping orders on Dec. 29th. 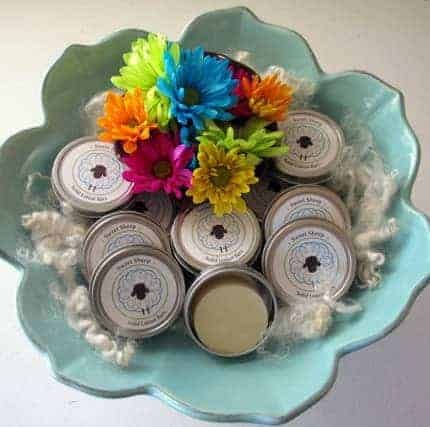 Finally, be sure to check out the wonderful review of my lotion bars and a special giveaway and coupon code on the Knitting Sarah blog! This weekend serves as something of a mental milestone in holiday shopping. It’s like someone flips a switch to ‘go!’ and all of a sudden those winter holidays seem far too close for comfort while your shopping list seems longer than you’d like. To help fill in some of those hard-to-buy-for blanks, Sweet Sheep is offering free shipping on all orders placed from 11/26 through 12/1! Use the coupon code THANKS2014 at checkout to take advantage of this Thanksgiving/Black Friday/Small Business Saturday/Cyber Monday (gosh, are there any more?) deal for both domestic and international orders! 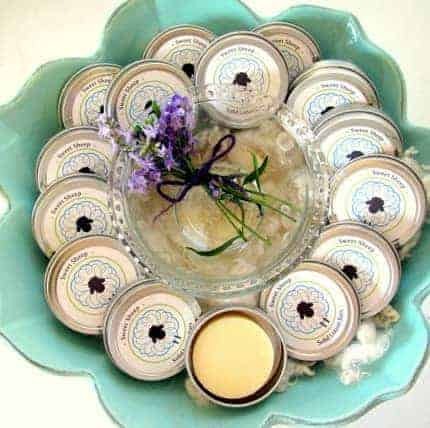 Give someone (or yourself) the gift of indie, handmade, natural body products. Their skin will thank you! In other exciting news, I’ve offered a Custom Mix Pack option to the shop! 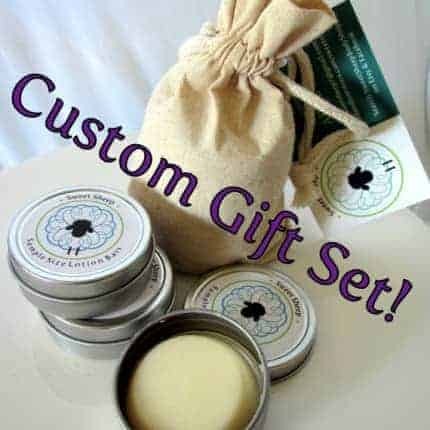 With this mix pack you receive three sample-sized lotion bars packaged in their wee tins and gathered into a cotton muslin bag that is perfect for gift-giving, just like with any of my themed gift sets (e.g., Coffeehouse Specials, Fall Favorites, All Natural). However, with the custom mix pack you get to pick-and-choose the scents that you’d like me to include! Since these are custom made, the shipping time is 1-2 weeks, so make sure you get your orders in early. If you’re in the US, enjoy your Thanksgiving, and if you’re elsewhere, eat something delicious anyway, and happy shopping! The holiday season is approaching and I want to do something extra sweet to say a heartfelt THANK YOU! 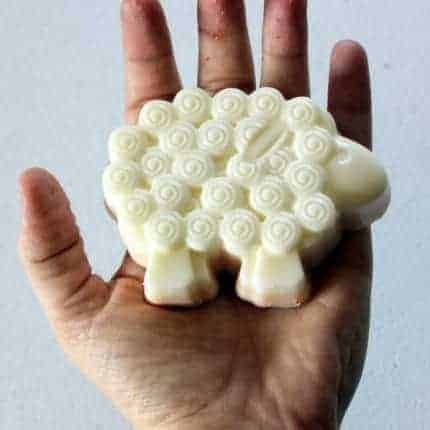 to my customers for choosing to use Sweet Sheep body care products. 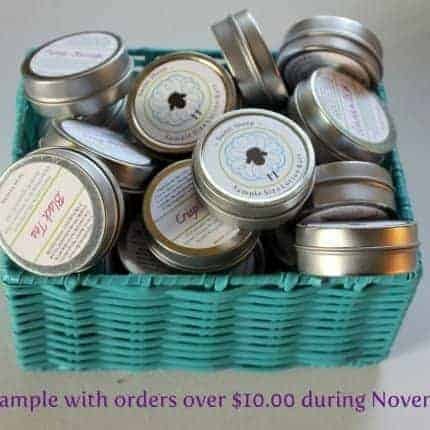 For the month of November, every order placed with a subtotal over $10 will receive a free sample-sized lotion bar in a surprise scent. 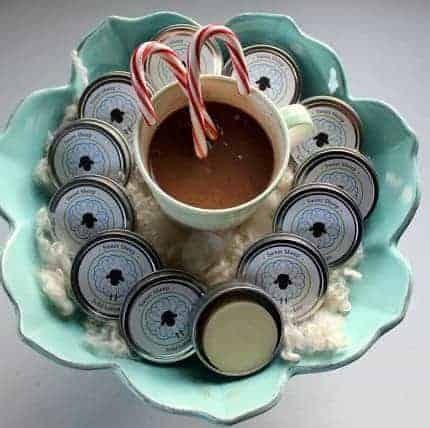 This little gift is a great way to try out a new fragrance, keep it for yourself, or share it with a friend to spread the sheep-y goodness! 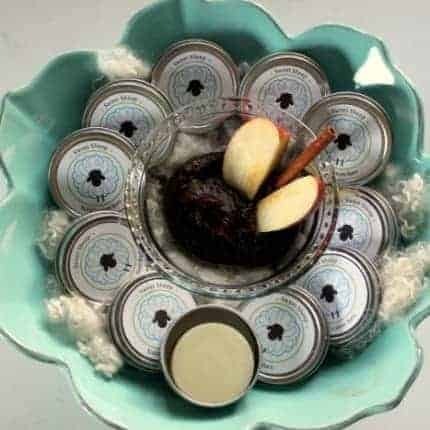 – Apple Butter: sweet, tart, caramel, cinnamon, delicious. – Autumn Harvest: brisk, sweet, leafy, fruity, spiced. – Black Tea: leafy, warm, smokey, herbal, assam. – Frosted Cranberry: bright, sparkling, fruity, tangy, crisp. – Honey Oatmeal: warm, comforting, honey, creamy, sophisticated. – Kumquat: bright, sweet, citrus, refreshing, sunshine. – Pumpkin Spice: fresh, warm, cinnamon, nutmeg, pumpkin, fall. 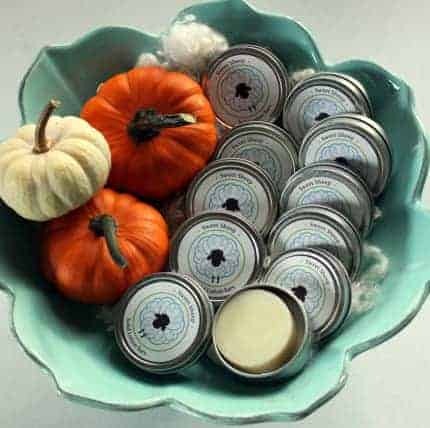 And if you just can’t choose just one scent, you can try three (Pumpkin Spice, Frosted Cranberry, and Apple Butter) in the Fall Favorites gift set, which consists of three sample-sized lotion bars attractively packaged in a cotton muslin bag (perfect for gift giving!). Happy fall, and stay sweet! Spring & Summer Scents on Sale! Once these scents sell out, they won’t be re-stocked until next year. (Have no fear, however: you can always request a bar through a custom order.) The bars have a very long shelf life (up to 2 years) due to their lack of water and the stable, anti-oxidant oils I use in my recipe. This means that if you purchase a summer-scented bar now, it will still be fine to use next time the warmer weather comes around! Also, a small PSA: as of September 1st I will be raising prices by approx. 5% to more adequately cover my costs. So now’s the time to grab your bar or lip balm at their current prices!